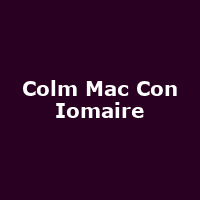 Colm Mac Con Iomaire is an Irish musician and singer from Dublin. He is a violinist and singer with the Irish band The Frames. He released his debut album, "The Hare's Corner" in 2008, followed by 2015's "And Now The Weather".